The documentary series traces the rise and fall of O.J. Simpson. camera (Steve Marcus/Getty Images) O.J. Simpson stands at the end of an evidentiary hearing in Clark County District Court on May 17, 2013 in Las Vegas. ESPN today released a trailer for "O.J. : Made in America,” its acclaimed five-part documentary examining the rise and fall of O.J. Simpson. The documentary traces Simpson’s stardom in the NFL and crossover success as an actor and TV pitchman to his recent imprisonment for a robbery and kidnapping conviction years after he was acquitted of his ex-wife’s murder in a trial that captivated the nation. The story will also examine the racial tensions that prevailed in Los Angeles at the time of the trial. The once-beloved football player became infamous for beating murder charges in the 1994 deaths of his ex-wife, Nicole Brown Simpson, and her friend Ron Goldman. He was acquitted in the sensational 1995 criminal trial, but was later found liable for the deaths in a subsequent civil suit brought by the families of Brown Simpson and Goldman. The ESPN series comes at a time of renewed attention to the case and Simpson’s story. Actor Martin Sheen is behind another upcoming Simpson docuseries, "Hard Evidence: O.J. Is Innocent," that will attempt to show that Simpson is innocent. The docuseries, executive produced and narrated by Sheen, is said to reveal new evidence behind the deaths of Brown Simpson and Goldman and offer a new theory behind their murders. 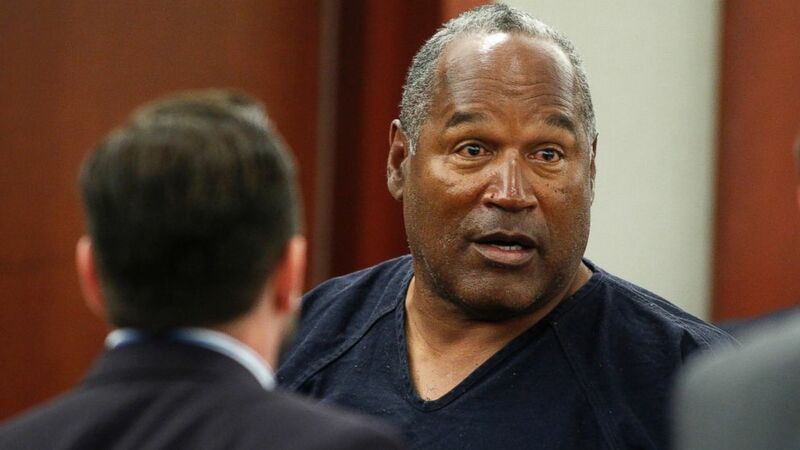 Simpson, 68, is currently imprisoned at Nevada's Lovelock Correctional Center, where he’s serving a sentence of nine to 33 years after being convicted of robbery and kidnapping for a 2007 bungled robbery of sports memorabilia that Simpson said was stolen from him. “O.J. : Made in America” is directed by Peabody and Emmy Award-winner, Ezra Edelman. Part I of the series premieres Saturday, June 11 at 9 p.m. ET on ABC. The full episodic documentary will then air across several dates from June 14-18 on ESPN. ESPN and ABC News are both owned by The Walt Disney Company.